For over 2 decades Slam, together with Soma have been pushing the envelopes of house and techno. Their constant innovation along with their independent ethos has allowed them to prosper in a constantly changing business. To celebrate their 20 years in music, Soma are releasing a selection of classic tracks from their extensive back catalogue, newly remixed by some of the best producers on the label and in the world today. September also sees the release of a special 20th anniversary 3CD compilation featuring classic tracks and 2 mixes by Silicone Soul and Slam. 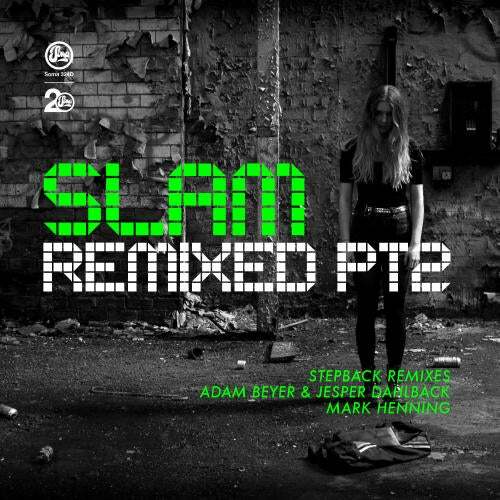 The 11th single in this classics series features two remixes of Slams classic track Stepback. The track, which sent shockwaves through the underground in the mid-90s, encompasses the classic early Soma sound; raw and stripped techno. Adam Beyer is no stranger to Slams work, releasing two of their EPs on his own Drumcode imprint. For this special release however, he has teamed up with his fellow countryman Jesper Dahlback to bring Stepback their Swedish shine. The pair add a new dimension to the track, making it even more brooding and atmospheric whilst retaining that driving rhythm that makes the original so prominent. For the second remix, Soma artist Mark Henning takes Stepback in a different direction. The deep house groove blends the original tracks industrial sound with Hennings typical off-kilter basslines making for a brighter and more purposeful sound that will light up every dancefloor.